Today I stumbled upon some interesting news concerning a brand new accelerator for the Amiga 500, Amiga 2000 and the CDTV. 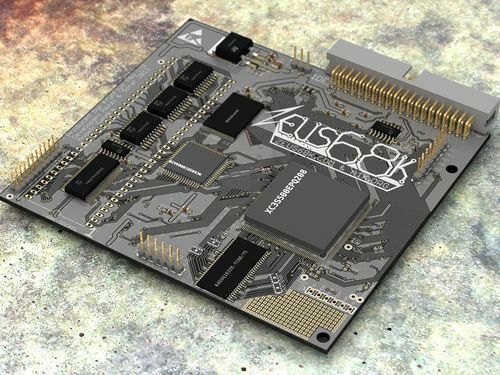 The card is called Zeus68k and it the specifications looks very cool to say the least. Looks very good in my opinion. The clock port will give room for more expansions and the IDE-controller will make it a breeze to install a decent hard drive. If my trusty old Amiga 500 was still alive, I would have gone for this upgrade as soon as it hits the streets. The card is only available as a prototype at the moment, but the final version might be released some time during the upcoming winter. 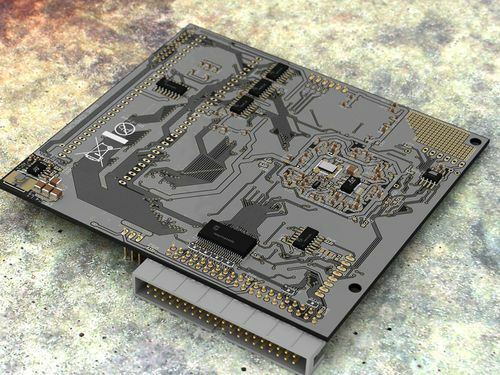 Any Amiga 500, Amiga 2000 or CDTV owners interested in this upcoming piece of hardware? 🙂 Would love to hear your thoughts on this board. Ahh.. 386DX-40! That brings back memories. I never had such a PC myself, but I remember friends who had one. Did it come with Windows 3.11 or did you run DOS? No problem, mate. 🙂 Glad to be of help. Sounds cool. If I were going to get an old PC for retro-gaming, would you consider a 486 DX to be most compatible? I’m also interested in info concerning relevant sound and graphic cards. Thanks in advance. 8 mb is very low , memory chips ram are very low cost now, 32 mb is better and not effect final cost , speed may be better , 50 mzh test? Nice piece of hw. However… sorry for being a bellyaher… what for? I have an impression that like in the old days we had demo competitions, now we have hw prototypes contests. Just for sake of a challenge and “I’ll show them!” pose. Of course I am full of admiration and awe to the guy who did it. Hi, for my opinion if you no change tech information and final board have only 8mb ram etc etc is perfect for upgrade cdtv. In this mode finally cdtv have correct hardware for work with all ecs program/game. Just you must many test for looked if in cdtv plus zeus work well game that use whdload. In this mode cdtv is trasformed in multimedia game center. Just how idea.. but any interface for use controller ps3 on cdtv ;-)??? Forget!! the cdtv for have a good use must have 1 mb chip ram (better 2) and your 8 mb ram how fast.. Thank you for your comment! Much appreciated! 🙂 Intersting ideas you’ve got there! From what i read on eab. 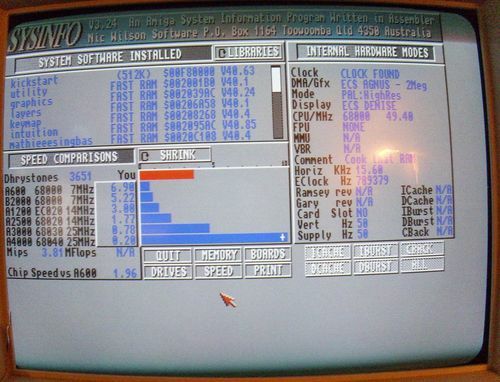 It will fill the amiga 1000 and you will be able to kickstart it with any version that is available for amiga 500. Means that you will not need to kick it from floppy. 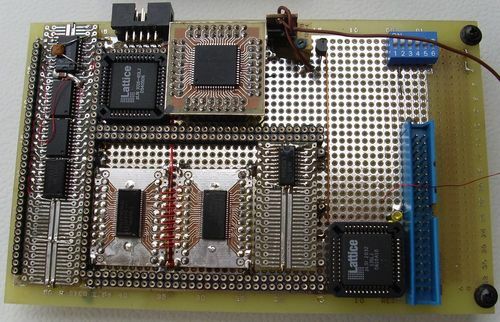 I would love one of these boards I hear you have them for both AMIGA’s & ATARI STe’s? I really like this. 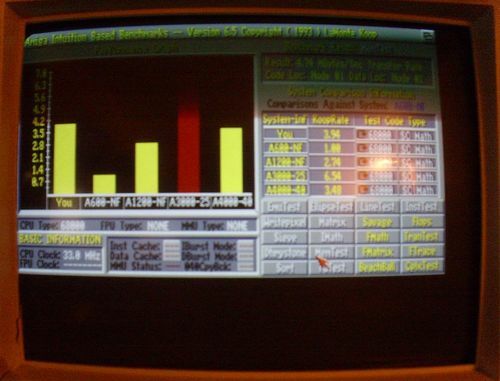 Another mod I was looking at was something rather amibitous someone took on that managed to use an accelerator board to add 32MB EDO RAM to it, nearly outperforming the A4000. But I like how on both revisions I have heard of that there is switchable TOS or Kickstart ROMS. That’s very attractive alongside the rest of the features… Question is Where do we get them & when are they in mass production & how much are they set to cost ? I want one and I think a lot of people of zona de pruebas too, our 500 needs new hardware…!!! Please sell it!!! Whats hanppend? We are still waiting! There are no Hardware like this avalibile, so you could make a good business!